Does your business need fresh and innovative print and marketing ideas? or affordable and personalized, web site design, development and or web hosting services? Do you know what makes up a good website? Check it out here. 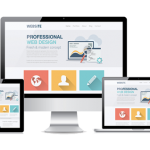 Since 1999, Your Design Studio has been serving the IT needs of clients and building web sites for individuals, small businesses, and organizations throughout southern New England. Many of our website clients are located in the South Shore MA and southeastern MA region from Boston, MA, to New Bedford, MA, and from Taunton, MA to Cape Cod, MA. We look forward to creating great design for you, one day at a time, one client at a time, one idea at a time.